If you've even glanced at my recipes, you've already guessed I have no fear of butter. Things like whole milk and heavy cream are at the top of my list, too. These, of course, all come from cow's milk - and I appreciate every drop! But sometimes I'm in the mood for a change, for something decidedly NOT cow. The easiest way to achieve this is simple: go for goat! Goat's milk yogurt has been a favorite of mine for almost as long as I can remember. Like a good chevre, yogurt made from goat's milk has a light tanginess that's incredibly pleasing to the palate. Strained in cheesecloth for 24 hours, the yogurt thickens to the consistency of whipped cream, and is heavenly with a scattering of chopped pistachios and a drizzle of honey. 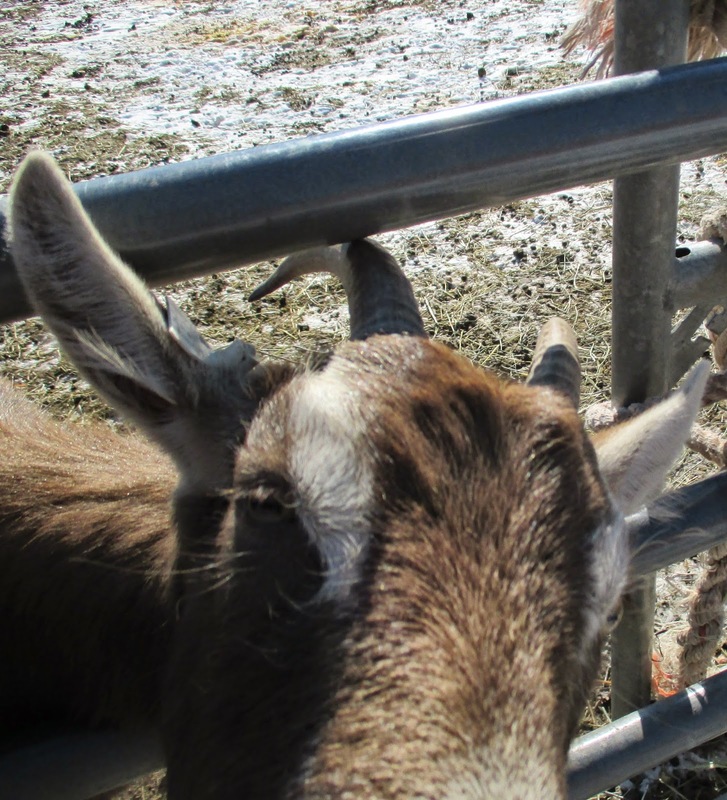 Now, unless you have a goat in your backyard (or know someone who does), goat products will likely be more expensive than their bovine counterparts. So consider it a treat, find the best you can afford, and choose something local to ensure it's as fresh as possible. Never tried it? Give it a shot - the variety of cheeses alone makes it worthwhile, and you can also find other things like goat's milk butter, ice cream, skin care products, and salted caramel sauce! Even better, it's easy to make something goaty at home - VERY satisfying, indeed!